To prepare asparagus, cut off and discard woody ends and chop remaining stalks into bite-size pieces. In large skillet or Dutch oven over high heat, bring water to boil. Add asparagus and cook 2 mn or until bright green and just soft Remove from heat, drain water and set aside. In small skillet over medium-low heat, sauté garlic in olive oil until soft (about 3mn). Remove from heat and stir in lemon juice and miso, mixing until miso is dissolved. 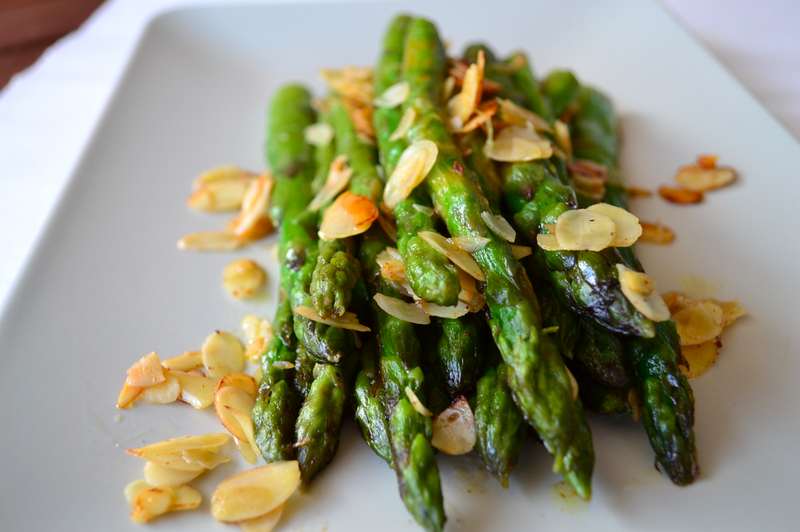 Pour dressing over asparagus, transfer to serving dish, top with almonds and serve.